Let's start with the yarn! 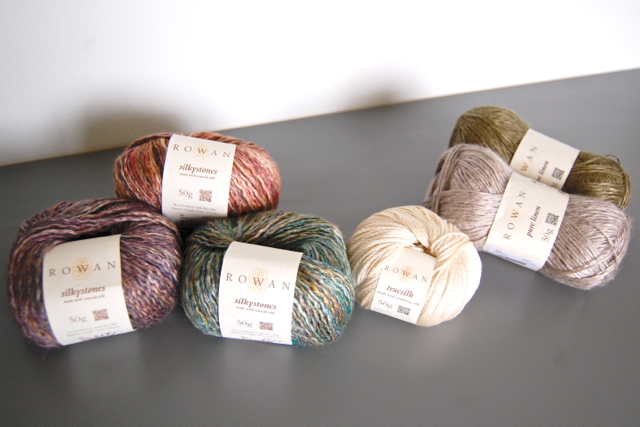 On the left are three balls of Rowan Silkystones, which is a combination of toussah silk and linen. In the center sits a ball of Truesilk, a chainette yarn made with 100% mulberry silk which is very light and interesting, with a bit of sheen. And on the right are two skeins of Pure Linen, made with 100% natural linen and perfect for light-weight knits. 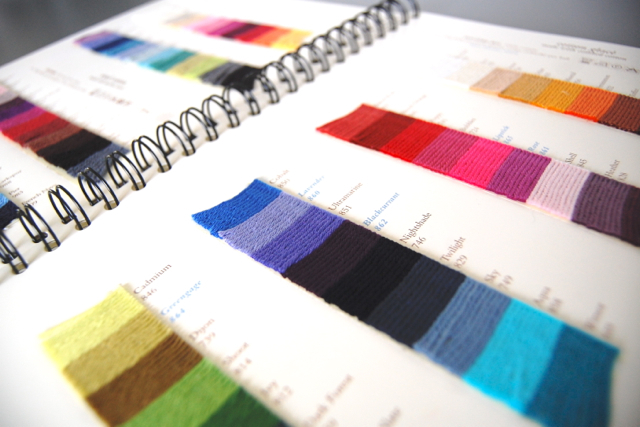 I'm really curious to see how the linen knits up. 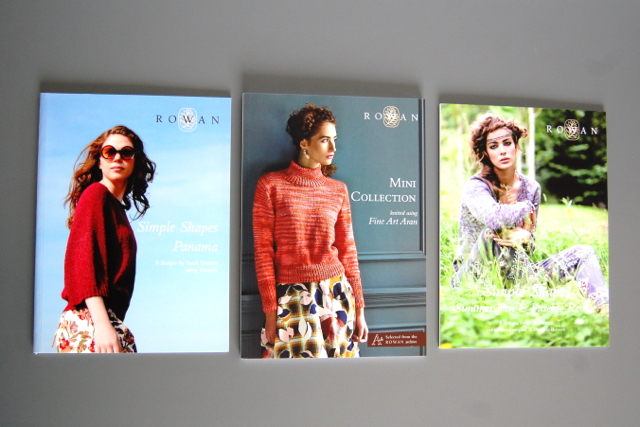 And new pattern brochures! Lots of them. I could probably look at them all day. 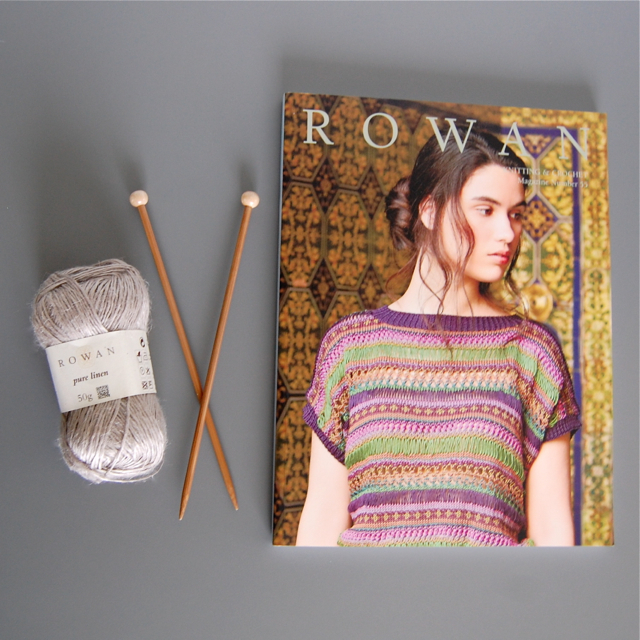 First up is Simple Shapes - Panama with a summary collection of shawls, sweaters and cropped cardigans knit with Rowan Panama. 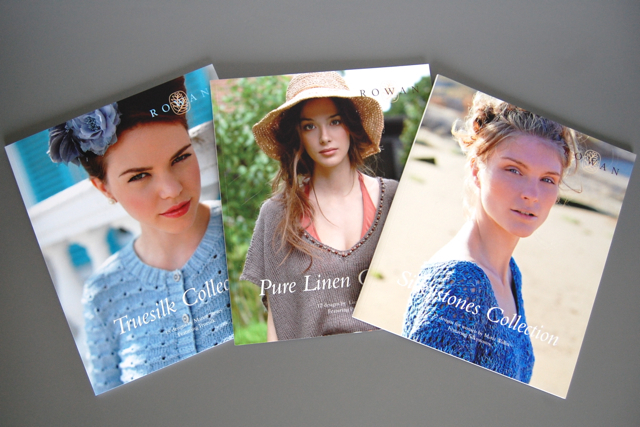 Next is the Mini Collection featuring eight Fine Art Aran designs by Kim Hargreaves and Martin Storey. And the third booklet is Simple Shapes Purelife Revive & Summerspun, eight relaxed designs using Purelife Revive and Summerpsun yarns. All this cold weather has me wanting to just sit on the couch and knit while binging on Netflix!